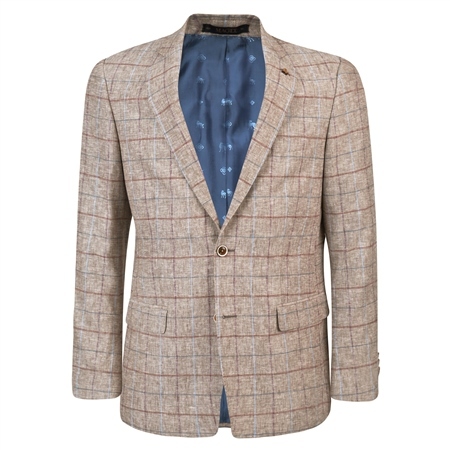 A smart modern oat Spring/Summer jacket featuring a subtle pale blue, burgundy and lilac check. A great everyday staple jacket for your Spring/Summer wardrobe. Jacket centre back on a 40R is 75.7cm.